9 In. Silver Pearlized Latex Balloons - 20 Ct.
9 In. Gold Pearlized Latex Balloons - 20 Ct.
12 In. Silver Pearlized Latex Balloons - 100 Ct.
12 In. Gold Pearlized Latex Balloons - 100 Ct.
Bring the party home with our collection of pearlized latex balloons. 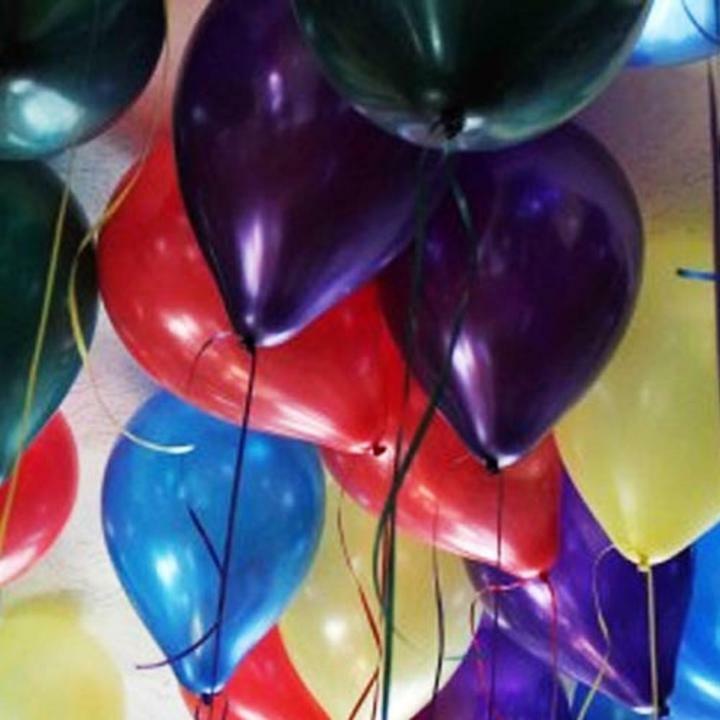 Available in a variety of sizes and colors, our glossy, pearlized latex balloons are the perfect addition to any party or event - from weddings to birthday parties, banquets to corporate events. Love the description and the balloons were great! Written by Funny on July 13, 2010 for 12 In. Assorted Pearlized Balloons - 10 Ct.